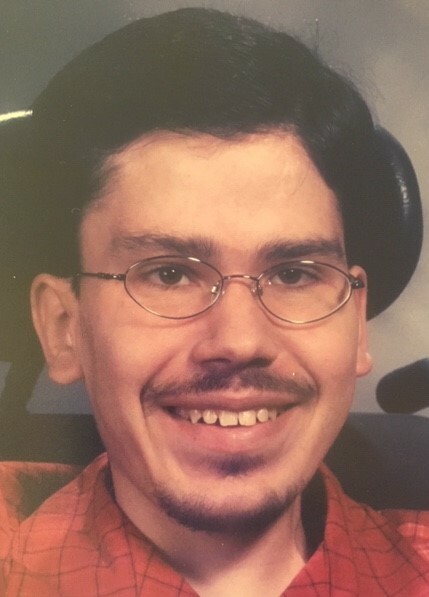 Age 37, of South Webster, passed away Monday, April 8, 2019, at Nationwide Children’s Hospital. He was born October 14, 1981 in Columbus, a son of Mary (McGlone) Hughes of South Webster and Timothy McCreary of Lucasville. He was a graduate of South Webster High School and Pike County JVS. He was a member of Pilgrim Wesleyan Church. He loved God, going to church, and singing at church. He enjoyed making crafts, attending Craft Shows, baking, and spending time with his family. Besides his parents, he is survived by three brothers, Gabriel Richmond and wife Natasha of South Webster, Matthew Newsom and Amanda Clark of Wheelersburg, Keith McCreary; three sisters, Kelly Buckley, Kaylie McCreary, Kara McCreary and husband Alis Alsagr; nieces and nephews, Chris, Nevaeh, Abraham, Nadalia; and several aunts, uncles, and cousins. Services will be 1:00 p.m. Friday April 12, 2019 at Pilgrim Wesleyan Church with Pastor Ronnie Rawlins officiating. Interment will follow at South Webster Cemetery. Visitation will be 5 to 7 p.m. Thursday at D.W. SWICK-NELSON FUNERAL HOME in South Webster and 12 noon to 1:00 p.m. Friday at the church. Fond memories and expressions of condolence may be shared at www.DWSwickNelsonFuneralHome.com.